Six-Lobe Punches,Solid Carbide Punches - Chien Sen Works Co., Ltd.
* Solid carbide punch is one of forming tools, it used for producing various specific parts. 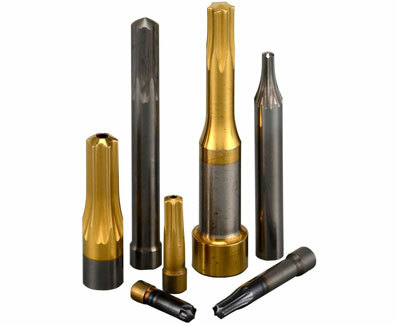 * Carbide punch with excellent tool quality can save much time in changeover, save your cost. * Tool surface with highly polished and with fine coating, it can increase punch wear-resisting ability.